Your evening meal must carry you until breakfast, so it is important to include foods that provide nutrients such as protein and fiber. Beverly Pressey notes in her book, "Simple and Savvy Strategies for Creating Healthy Eaters," that having several nutritious menu ideas will help you prepare meals that are healthy and that you know your entire family is willing to eat. 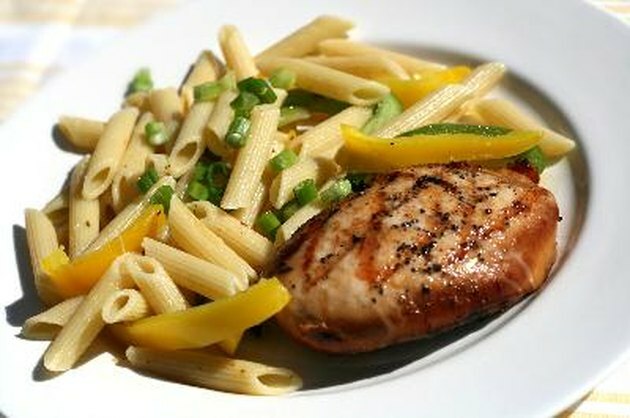 Keep track of new recipes you try, and soon you will have many nutritious dinner ideas at your fingertips. 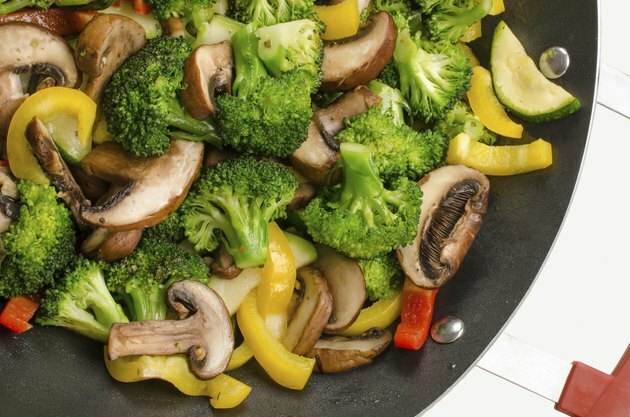 A nutritious stir fry is simple to make if you have a variety of healthy ingredients on hand. Choose a lean protein source, such as white-meat chicken, trimmed sirloin steak, fish or tofu. Add a drizzle of olive oil to a large wok or pot, add chopped meat or tofu and stir-fry until cooked through. Remove from pan and set aside. Add several types of vegetables to the pan. Include as many colors as possible to get vitamin C, vitamin A and fiber from your meal. Red bell peppers, carrots, squash, green onions, peas, asparagus and eggplant are all nutrient-dense choices. Stir-fry the vegetables until slightly tender, and add meat back to the pot. Stir in 1 or 2 tbsp. of low-sodium soy sauce, sprinkle with sesame seeds and serve hot with steamed brown rice. Sandwiches are often reserved for your midday meal, but many of the same fillings can be turned into a satisfying and nutritious wrap for dinner. Opt for whole-wheat tortillas because they provide more fiber than white ones. Choose a protein source to build your wrap on. Grilled chicken, shredded turkey and lean beef are all protein-packed choices. Shred or slice your meat and place it on a tortilla. Add vegetables like carrots, spinach, tomatoes and onions to chicken and drizzle with low-fat ranch dressing. Green onions, red bell peppers, broccoli and low-salt soy sauce goes well with beef. 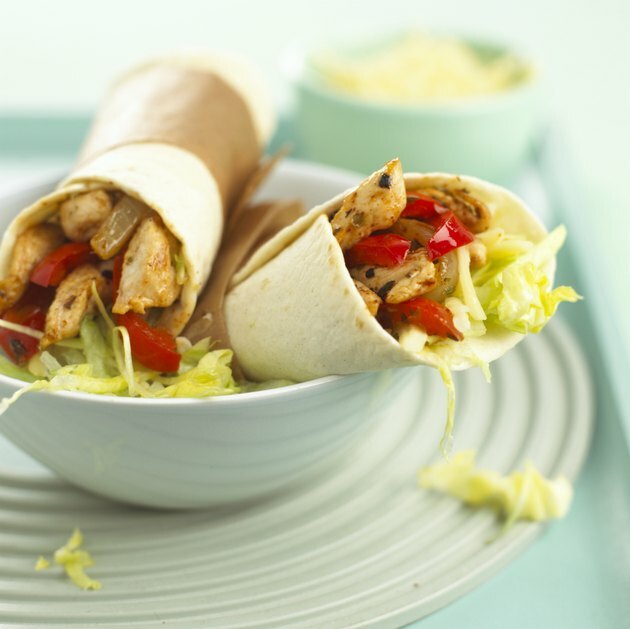 Chicken, cheese and salsa or turkey, avocado and low-fat cheese are additional fillings that are also nutritious. 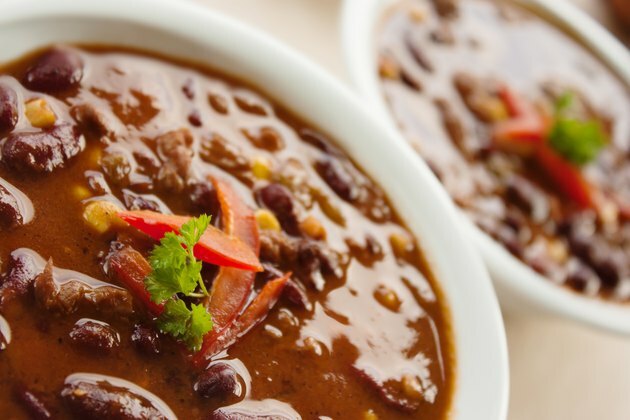 A pot of hearty soup or stew is a satisfying meal that can also provide a variety of important nutrients. Lean ground beef, garlic, onions, low-sodium canned tomatoes, low-sodium canned beans and low-fat cheddar cheese can be combined to prepare a chili that is packed with protein, fiber, calcium and vitamin C. Low-salt chicken broth, potatoes, carrots, onion, celery, corn and shredded chicken is a filling soup that supplies protein, potassium and vitamin A. Fish or shrimp can replace the chicken for a different taste. 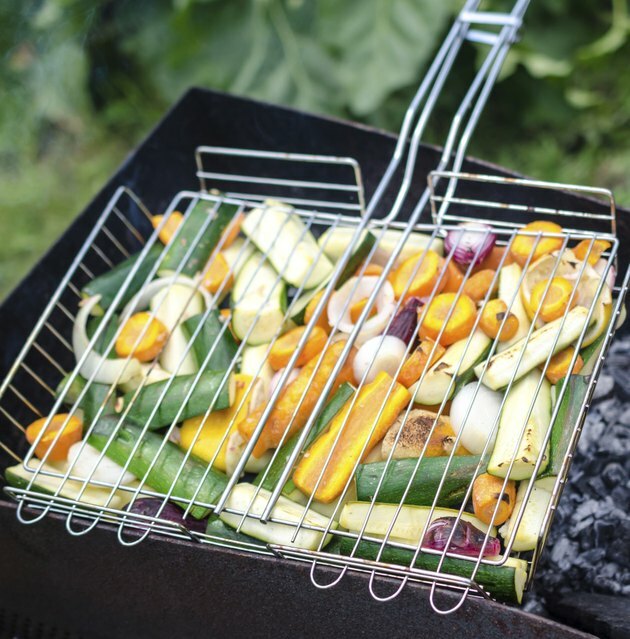 Using your outdoor grill is a simple way to prepare flavorful foods that are also packed with nutrition. Brush chicken breasts, flank steaks or whole trout with olive oil, and sprinkle with salt and pepper. Grill over a medium flame until the meat is cooked through. Serve with a variety of grilled vegetables that have also been brushed with olive oil. Squash, asparagus, eggplant, red potatoes, tomatoes and onions grill well and provide fiber, potassium, vitamin A and vitamin C.